Ben Helfgott (b. 1929) was born in Poland and was only a child when the Nazis invaded his country. He was sent with his entire family to Buchenwald concentration camp. Everyone perished except for one sister. After the war, Helfgott was among some 750 Jewish kids under 16 taken to England as refugees. Now safe in England, Helfgott started a Jewish youth club and became a big fan of sports. He was soon introduced to weightlifting and wanted to take it up professionally. Being just 5 foot 4 inches tall, and weighing 154 pounds, Helfgott was told to find another sport. He persisted nonetheless, and at age 26, became England’s champion in the 11-stone division. He went on to win four more English and British Commonwealth weightlifting championships, and represented the UK at the 1956 Olympics in Australia. He returned in the 1960 Olympics in Rome as the coach of the UK weightlifting team. He also participated in the Maccabiah Games, earning weightlifting gold three times. 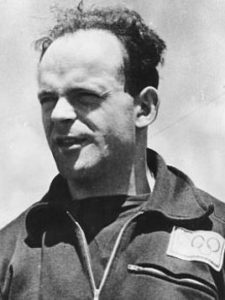 After retiring from sport, Helfgott became a successful businessman. He used his wealth to start The ’45 Aid Society, generously supporting struggling Holocaust survivors. Helfgott was recently knighted by Queen Elizabeth. He is one of just two Holocaust survivors to become an Olympian. The other is Alfred Nakache (1915-1983), born in French Algeria to a traditional Sephardic family of eleven children. As a child, Nakache had a crippling fear of water. He made the decision to overcome his phobia, and soon immersed himself in swimming and water sports. He went on to become a five-time French swimming champion, and set five European and World Records. After a silver medal at the 1935 Maccabiah Games, Nakache made the French Olympic team and competed in the 1936 Berlin Olympics. When the Nazis invaded France, Nakache escaped to the Free Zone in the south of the country. He wasn’t safe from anti-Semitism, though. Banned from swimming in Toulouse, he moved to Marseilles. Several weeks after setting a new record in the 400 metre butterfly in 1943, he was arrested and deported to Auschwitz. 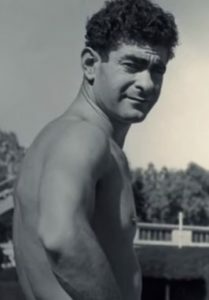 Surviving the camp’s hellish conditions, Nakache returned to swimming, setting a new French record in 1946. He made the French Olympic team again and participated in the 1948 games in London. In 1993, Nakache was inducted into the International Jewish Sports Hall of Fame. He was the subject of the 2001 documentary Alfred Nakache, the Swimmer of Auschwitz. Today, many pools across France are named after him. What’s the Difference Between Ashkenazim and Sephardim? According to the pain is the gain. Nakache (far left) with the French relay team at the 1936 Berlin Olympics. Helfgott (inset) at a weightlifting competition. This entry was posted in World of Sport and tagged 1936 Berlin Olympics, 1948 London Olympics, 1966 Melbourne Olympics, Algerian Jews, Auschwitz, British Olympic Team, Buchenwald, Champion, English Jews, French Jews, French Olympic Team, Holocaust, International Jewish Sports Hall of Fame, Jewish Knight, Maccabiah Games, Olympics, Philanthropists, Polish Jews, Sephardic Jews, Swimming, The '45 Aid Society, Water Polo, Weightlifters, Weightlifting, World Record on August 9, 2018 by Jew of the Week. 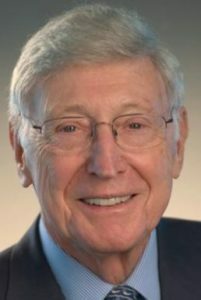 Bernard Marcus (b. 1929) was born in New Jersey to Russian-Jewish immigrants. His dream was to become a doctor, but he could not afford the tuition. Instead, he studied pharmacy at Rutgers University (where he was part of the Jewish AEPi fraternity) and paid his way by building cabinets with his father. While working at a drug store after graduating, Marcus realized that he is far more interested in business than pharmacy. He went on to work in various retail jobs, eventually becoming the CEO of a home improvement store. 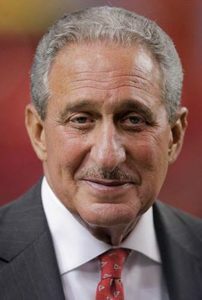 There he met Arthur Max Blank (b. 1942). Blank had studied business in college, and worked in various accounting jobs until becoming VP of finance at the same home improvement store as Marcus. The two were both fired from the company in 1978. Undeterred, they decided to start their own home improvement store, with a new “warehouse” concept, and a focus on superb customer service and a vision of giving back to the community. The two hired a fellow employee who had been fired, Ron Brill, as well as businessman Pat Farrah, who had once owned a home improvement store. The following year they opened the first Home Depot in Atlanta. Just two years later, they branched out into Florida and went public. Within a decade, Home Depot had become America’s largest home improvement store. Today, it has over 2200 stores across the US, Canada, and Mexico, with some 385,000 employees, and is the world’s largest buyer of construction materials. True to their original vision, The Home Depot Foundation has donated over $200 million in support of various causes, including Habitat for Humanity. They have been lauded for their environmental conservation, avoiding lumber purchases from endangered forests, running the largest light bulb recycling program in the US, and spending $100 million over ten years to build 100,000 green homes and plant 3 million trees. Home Depot also sponsors the US and Canada Olympic Teams. We have neither taken other men’s land, nor are we in possession of other men’s property, but of the inheritance of our forefathers; it was wrongfully held by our enemies at one time, but we, grasping our opportunity, hold firmly the inheritance of our forefathers. This entry was posted in Business & Finance and tagged AEPi, American Jews, Atlanta, Atlanta Falcons, Atlanta United FC, Autism Speaks, Charity, Conservation, Environment, Green Initiatives, Habitat for Humanity, Home Depot, Home Improvement, Major League Soccer, Olympics, Pharmacy, Philanthropists, Russian Jews, Rutgers, The Giving Pledge on December 20, 2017 by Jew of the Week.